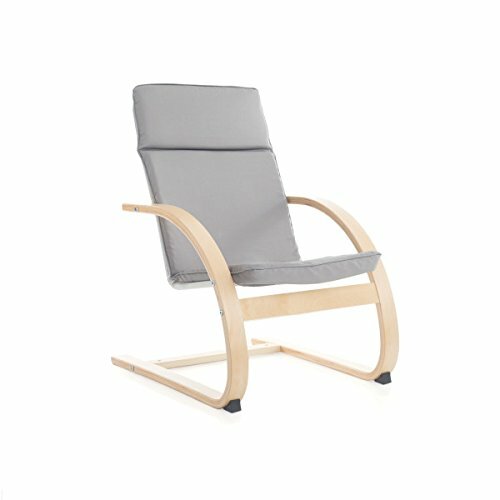 Inspired by Scandinavian design, the Guide craft Nordic Rocker is a functional, while still elegant, chair for home, schools, libraries or reading centers. Steam bent plywood contours and smooth edges offer a modern design. Seat cover features comfortable cushions and is removable and washable. Available for personalization. Adult assembly required. Max weight 140 lbs. Seat height 14″. 20″W x 24″D x 30″H. Ages 7+. Cushioned couch with a durable and attractive design provides an ideal spot to read and play. Cushions provide comfort for extended seated activities and cushion covers are machine washable in cold water. Material: Birch plywood with a durable polyurethane finish, powder-coated steel interior frame, cotton canvas covers and foam cushions. Supports up to 180 lbs. Assembled dimensions: 36"W x 24"D x 30"H, Seat height 14"